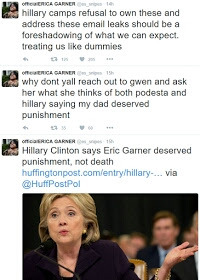 “I know we have Erica Garner issues but we don’t want to mention Eric at all? I can see her coming after us for leaving him out of the piece,” wrote Nick Merrill, a spokesman for the campaign. 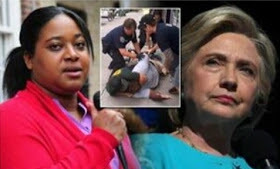 "I'm troubled by the revelation that you and this campaign actually discussed 'using' Eric Garner ... Why would you want to 'use' my dad," tweeted Erica Garner. 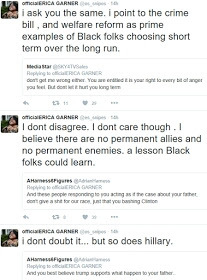 After her tweets, she started responding to tweets of her supporters and people against her stance. 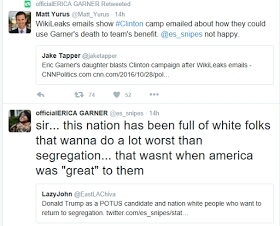 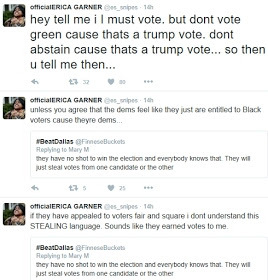 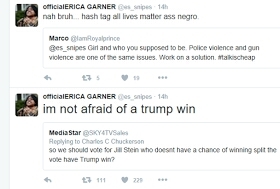 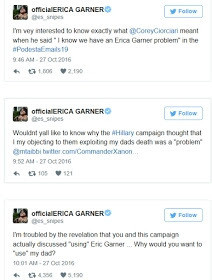 0 Comment to "Eric Garner's daughter slams Clinton campaign over WikiLeaks emails about her father"